You are browsing the archive for uk. Here are the answers to the questions from the final of 2009 University Challenge, as posted at the end of the All hail Gail post. There is a theory that resurfaces from time to time that there is no better tool for the promotion of an event or sport than the individual brilliance of a superstar performer. News stories grow up around their rare (maybe even freakish) abilities and, through them, the general public are thus introduced to, or reminded of the existence of, the event. Some off-the-top-of-my-head examples of this phenomenon would include: Tiger Woods in Golf, Torvill and Dean in Ice Skating and either/both Stephen Roche and Seán Kelly, who turned Cycling into one of Ireland’s most popular sports in the 1980s. 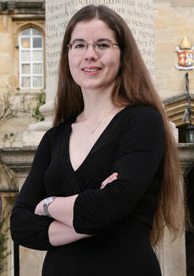 The effect was seen in action again this week as the build-up to the final of this year’s University Challenge seemed to focus entirely on Gail Trimble, captain of the Corpus Christi College, Oxford. “Is she the cleverest contestant ever?” wondered Paul Gallagher in The Guardian as, en-route to the final, she had scored 825 of the team’s 1,235 points. The writer also informed us that one of her opponents likened her style to “intellectual blitzkrieg”. In the quarter-final, Corpus Christi were so dominant that they only allowed the University of Exeter 15 points – a new low-score record for the current series under Jeremy Paxman. As each year ends, some radio and TV shows combine the need to have a retrospective look back on the preceding 12 months with the desire to enjoy themselves and hit upon the idea of a quiz. Over the next few days I’ll be uploading some of my favourites from the recent holiday period. A weekly habit of mine is to listen to the podcast of Mark Kermode discussing the newest movies on Simon Mayo‘s radio show on BBC 5 Live. Some weeks one or both of them will be on holidays but, for the most part, it’s a show that features two mates slagging each other off continuously. It reminds me of my own days on university radio in fact! Right, sorry for the delay. 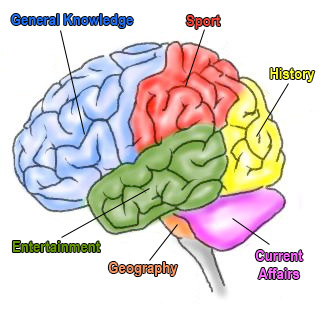 Here are the answers to the questions in the Brain of Mensa post. I came across the questions from the 2008 Brain of Mensa competition recently. 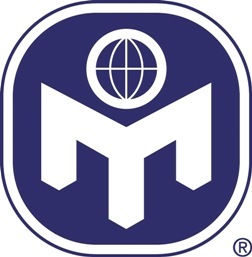 This is an annual quiz open to members of Mensa UK. The final of this year’s competition took place in Liverpool during September and featured four quizzers taking on 40 questions. The winner, Les Hurst of Derby (a man with several appearances on 15 to 1 to his name), scored 30 points with the other finalists finishing on 28, 23 and 19 points respectively. Anyways, you can give them a go by clicking the more. They’re an interesting mix: a lot of history questions, some are very Brit specific and good luck answering no. 36 without writing a whole sentence.